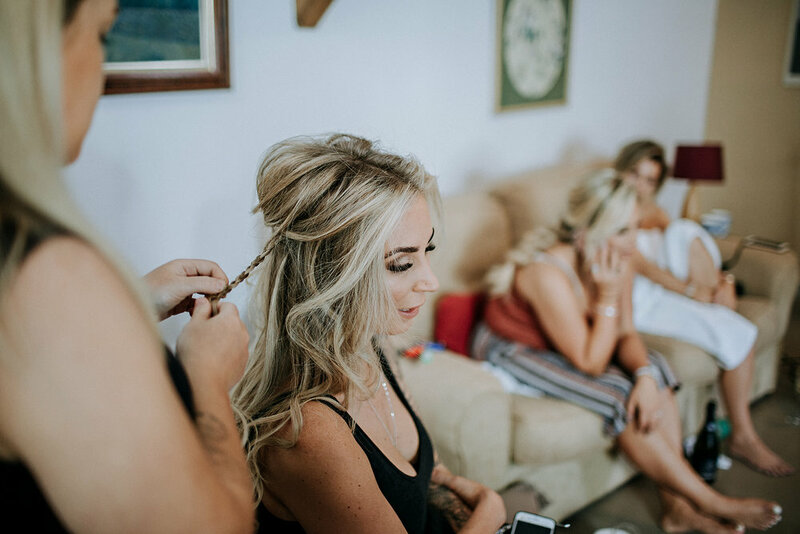 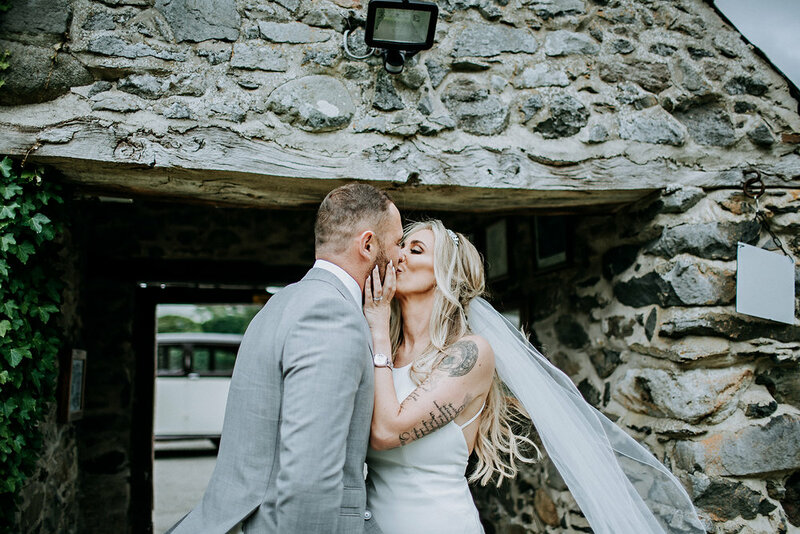 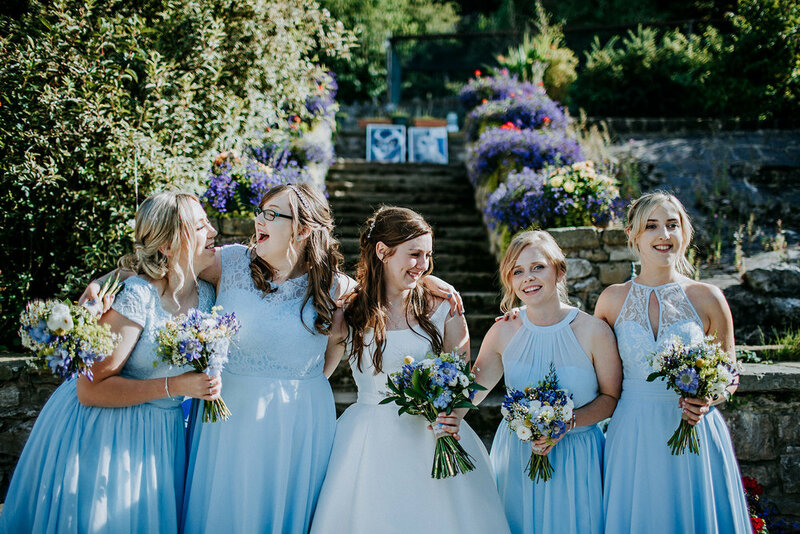 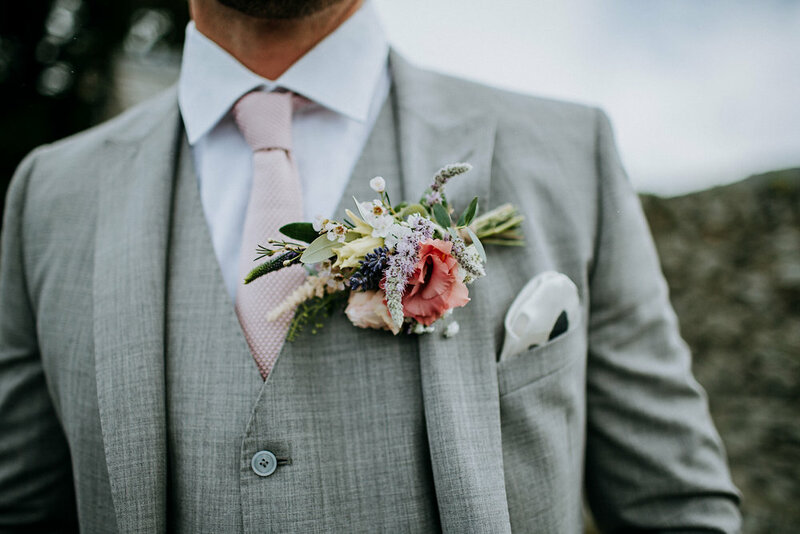 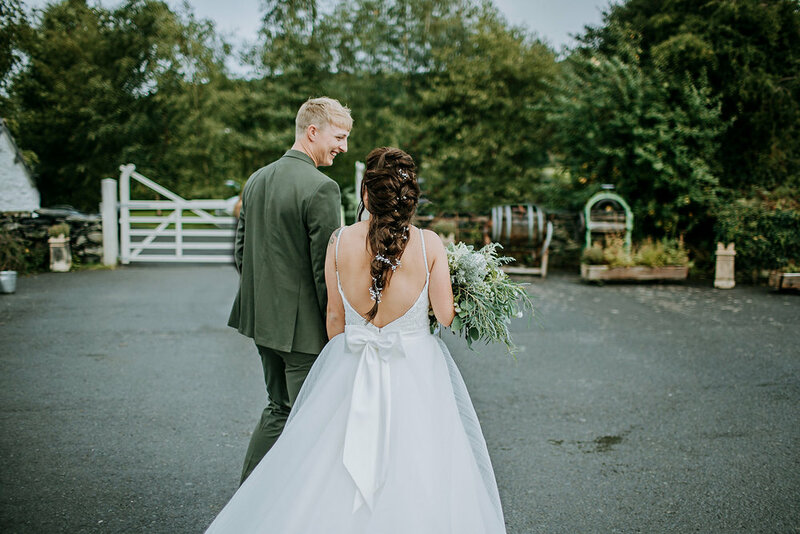 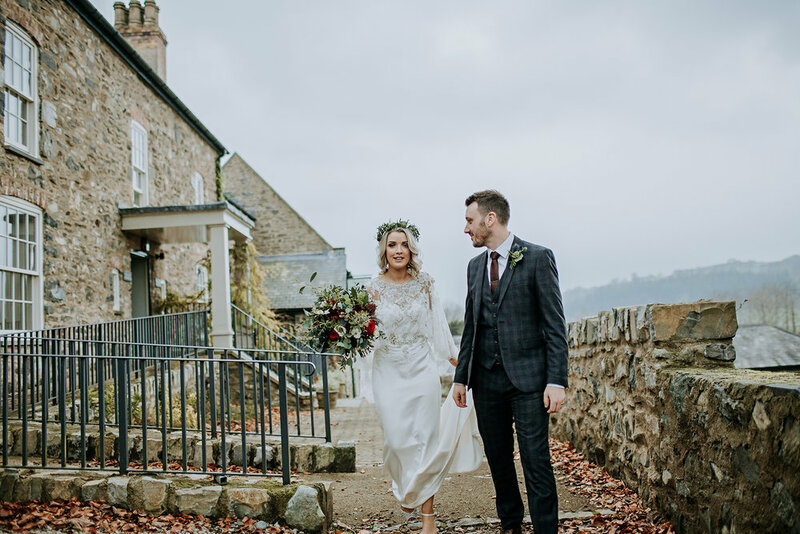 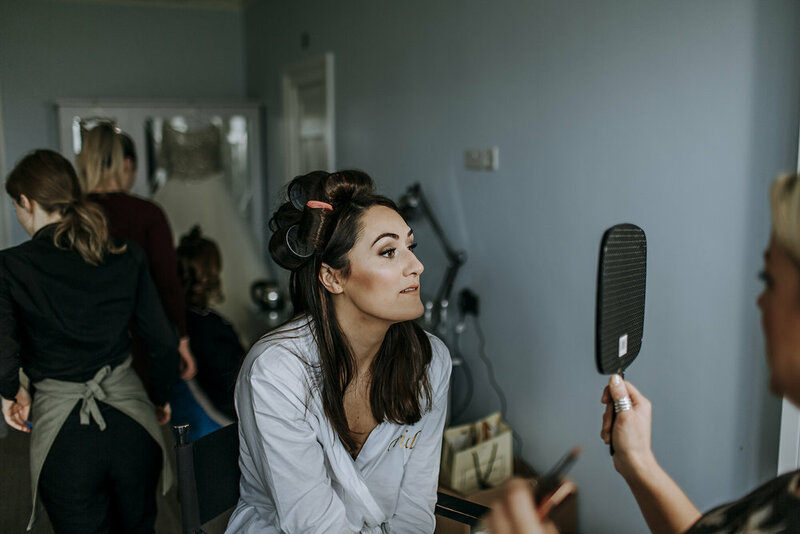 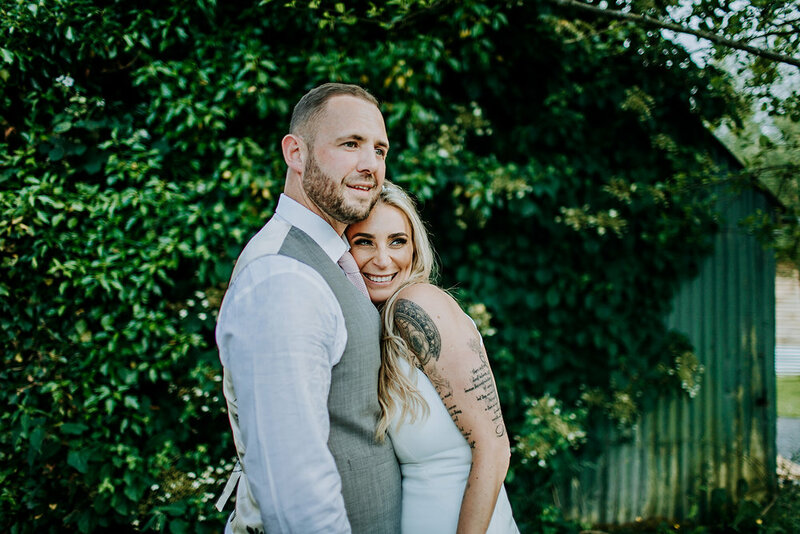 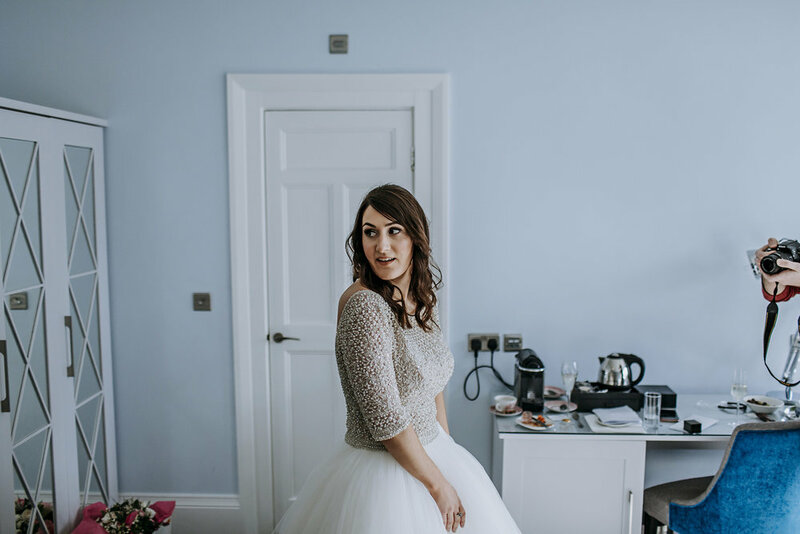 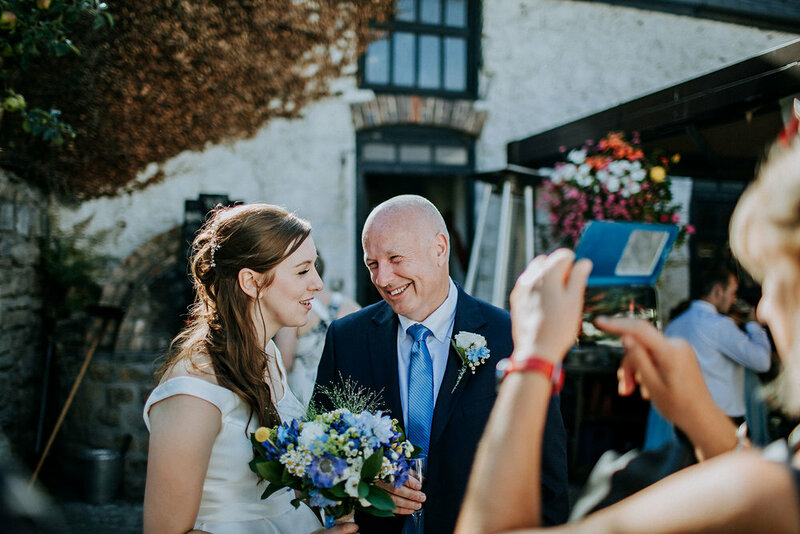 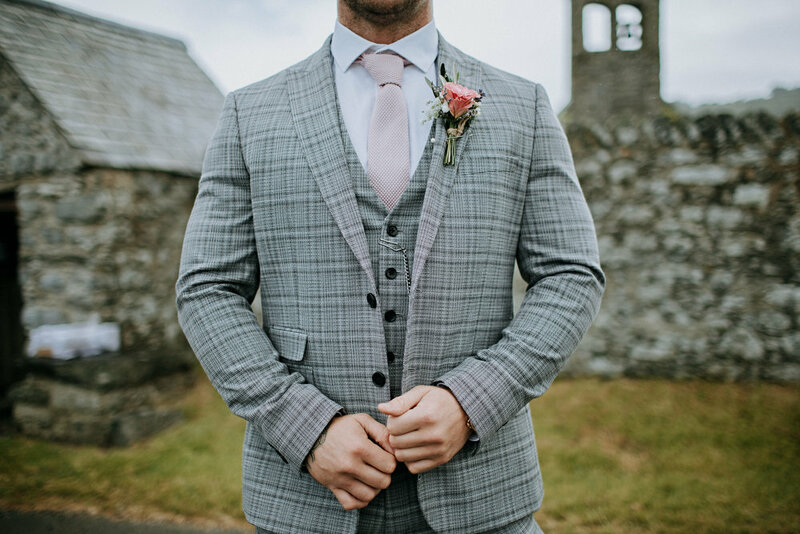 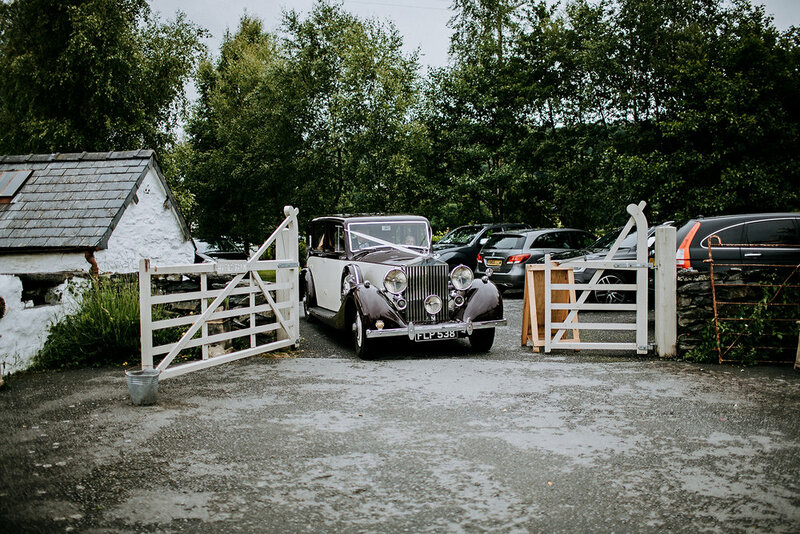 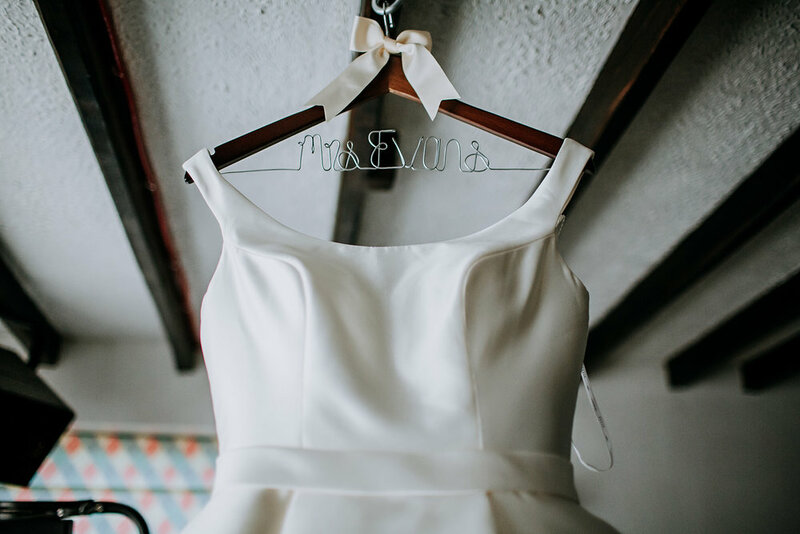 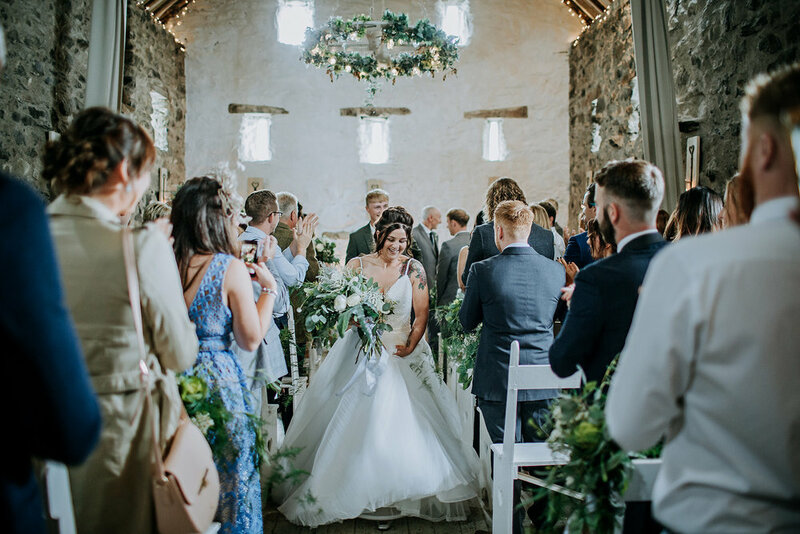 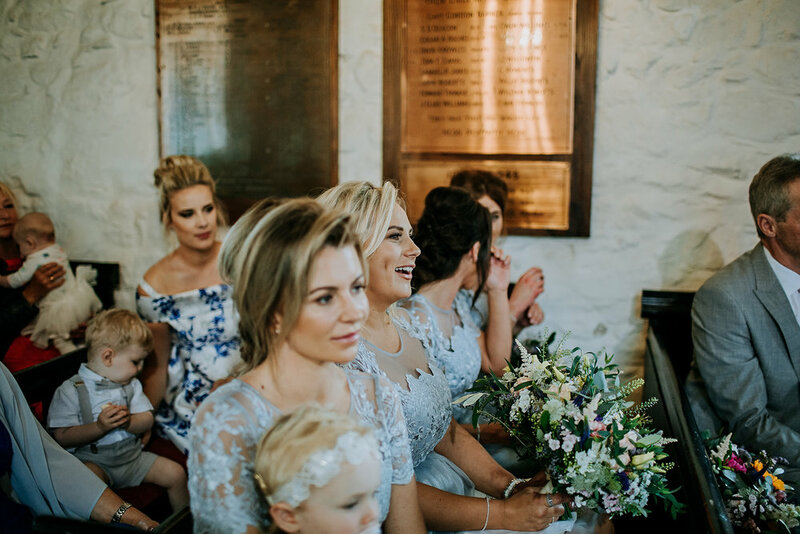 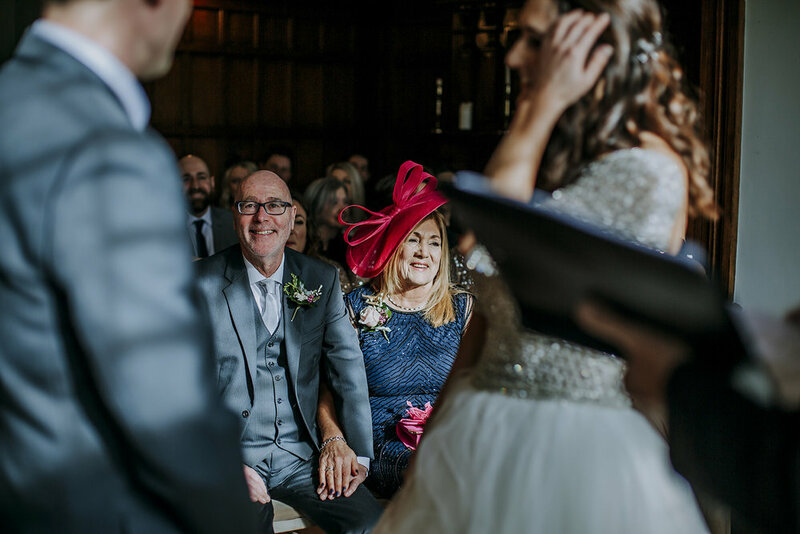 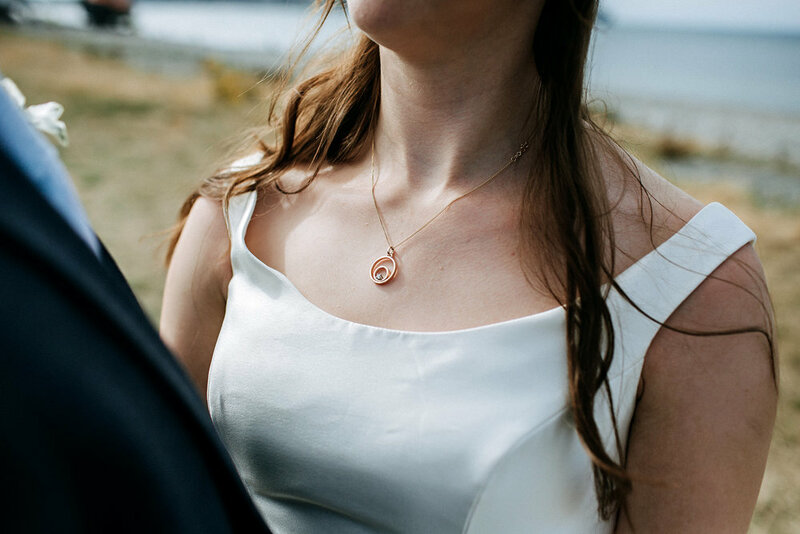 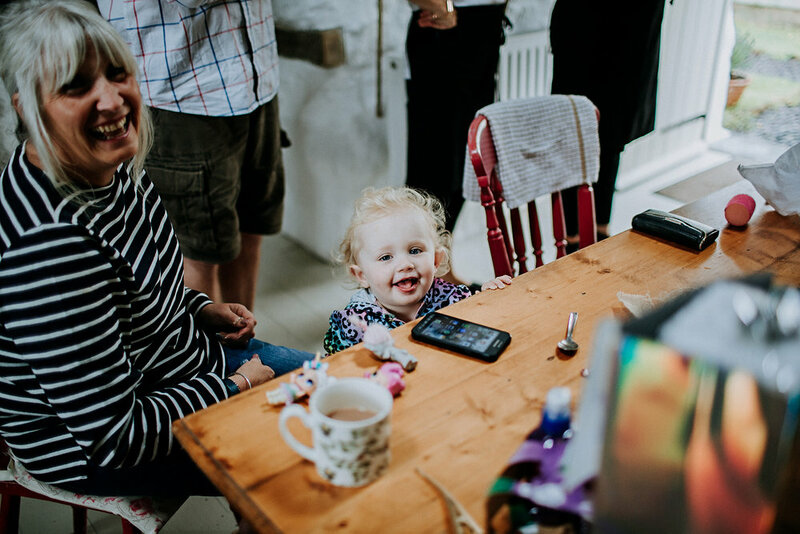 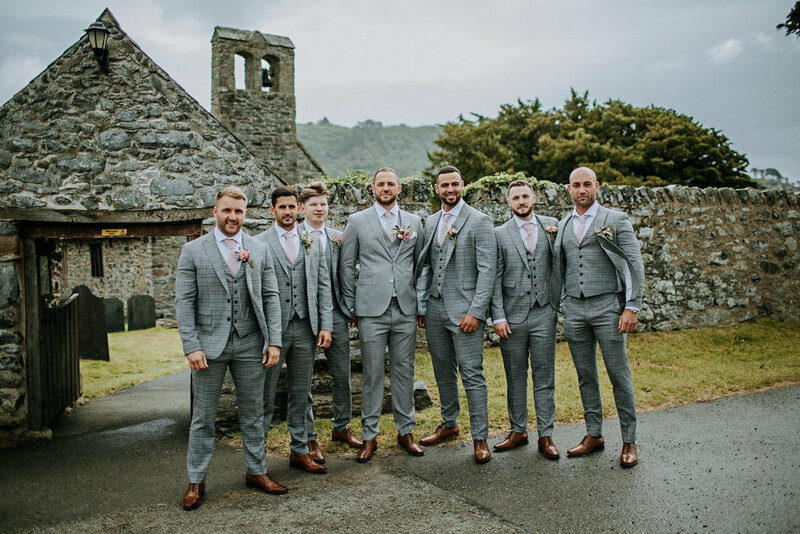 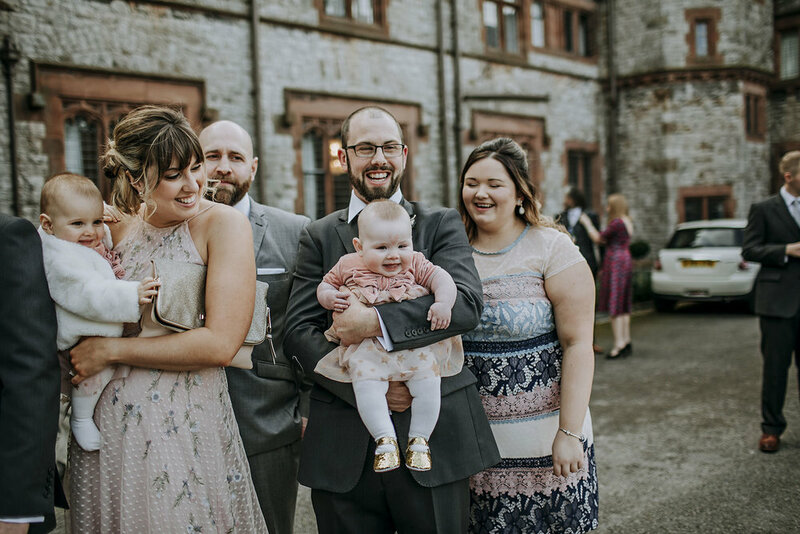 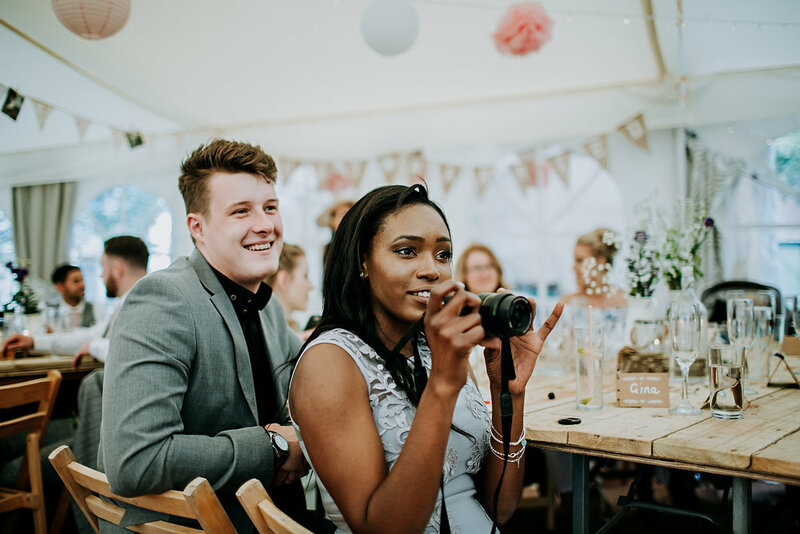 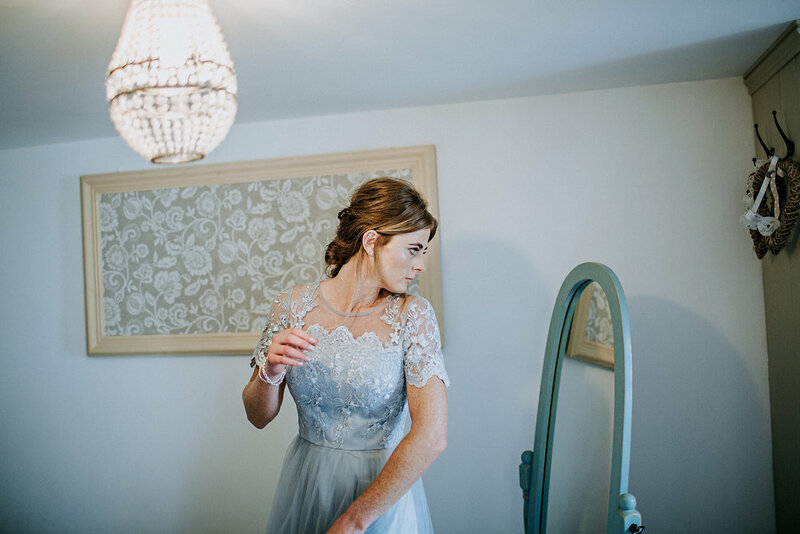 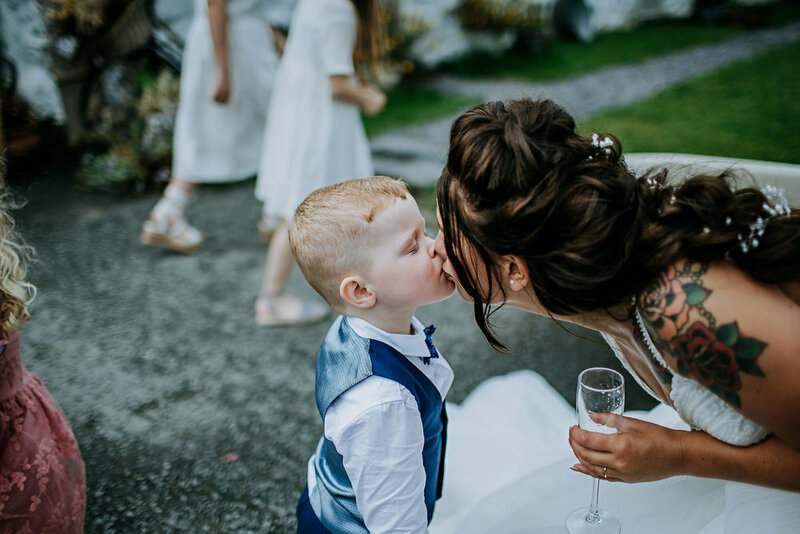 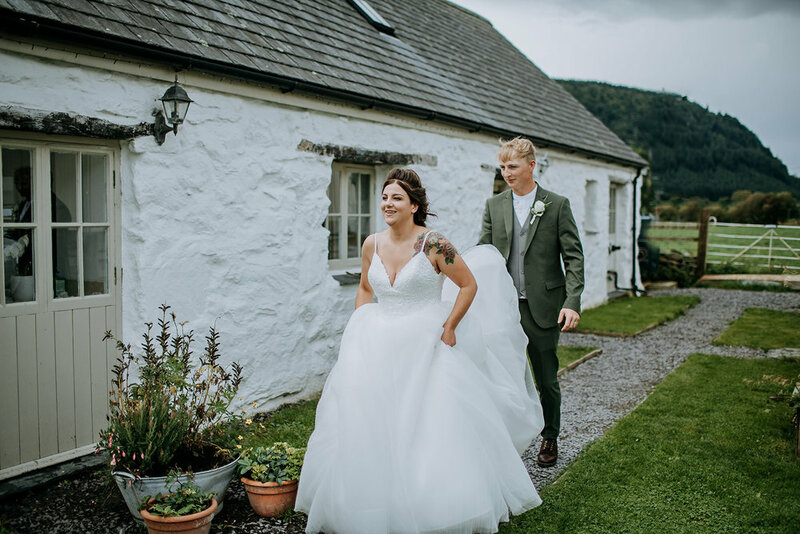 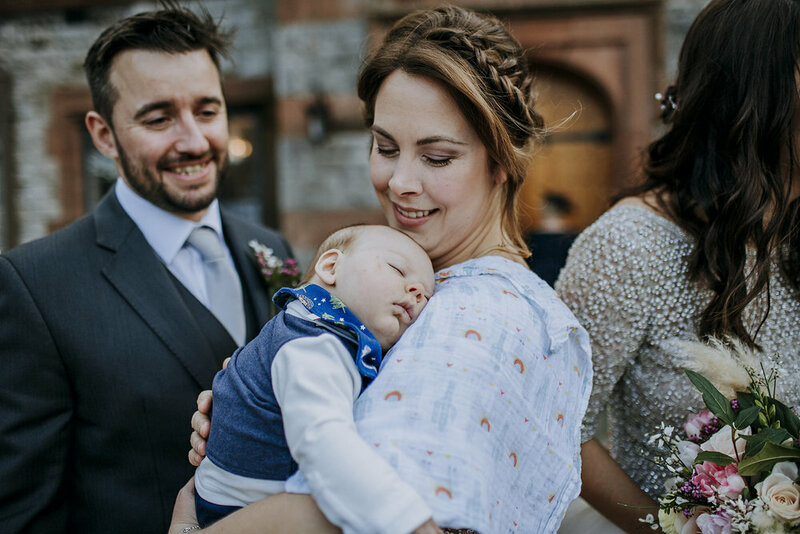 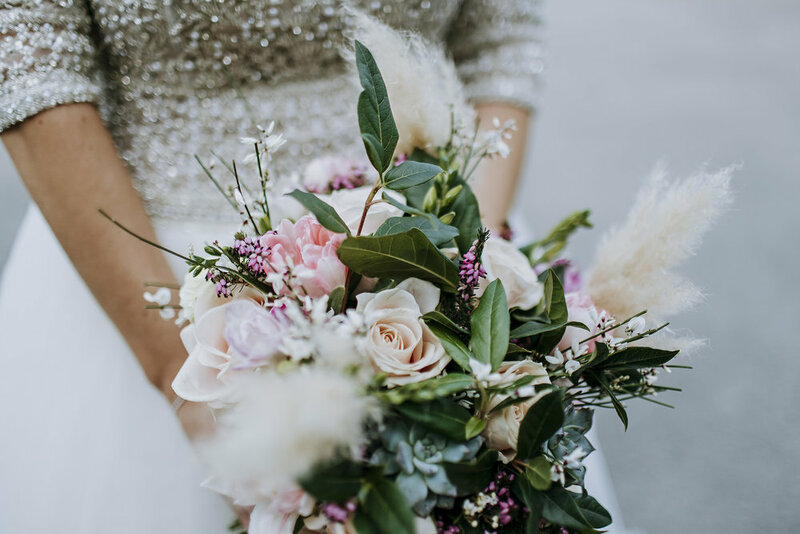 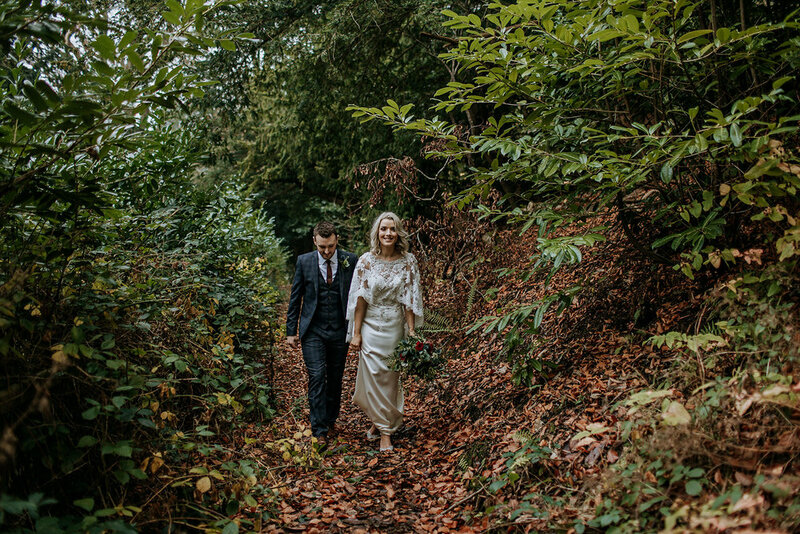 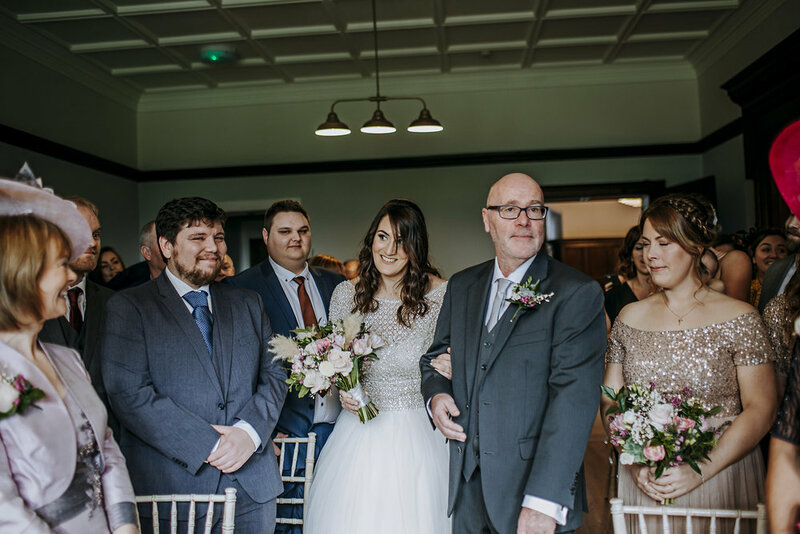 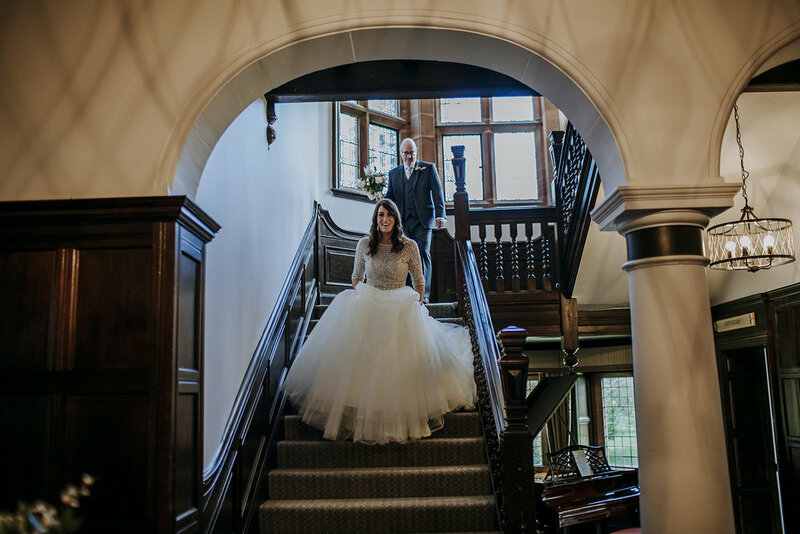 Danielle and Will got married back in June at the lovely Hafod Farm, which is an adorable rustic farm located in Conwy. 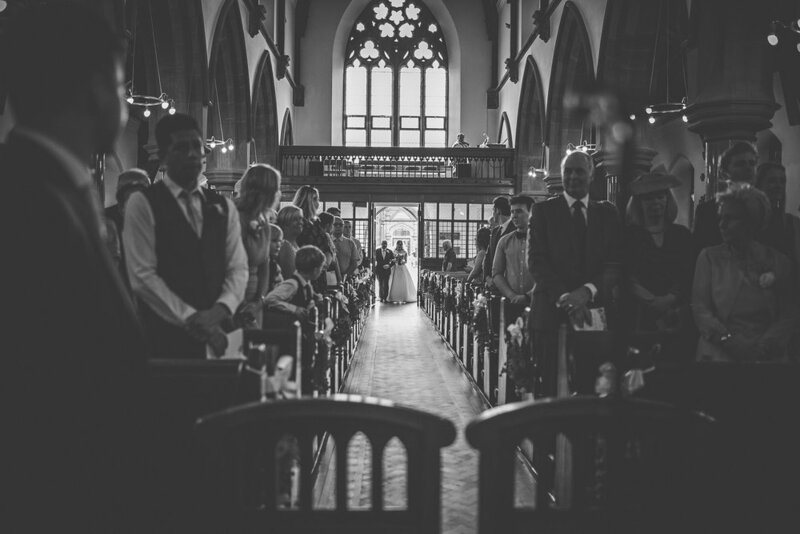 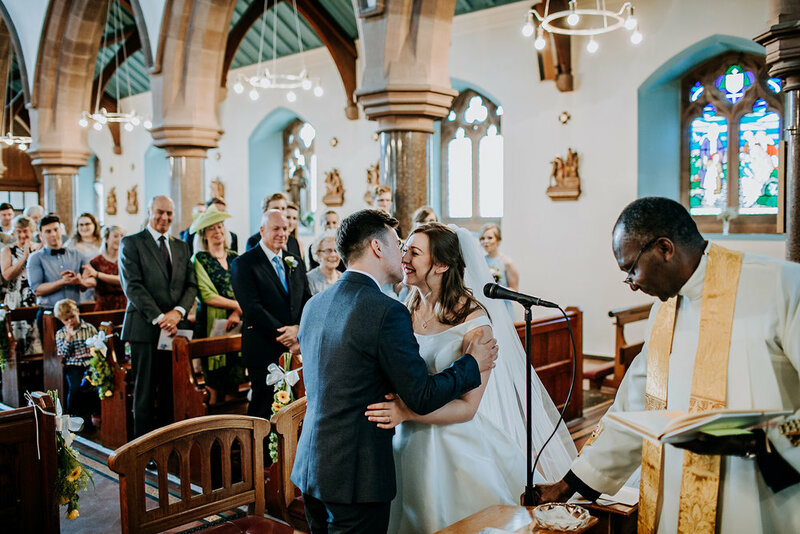 The ceremony was in St. Mary’s Church, which can be found down some windy country lanes in the middle of some beautiful Conwy countryside. 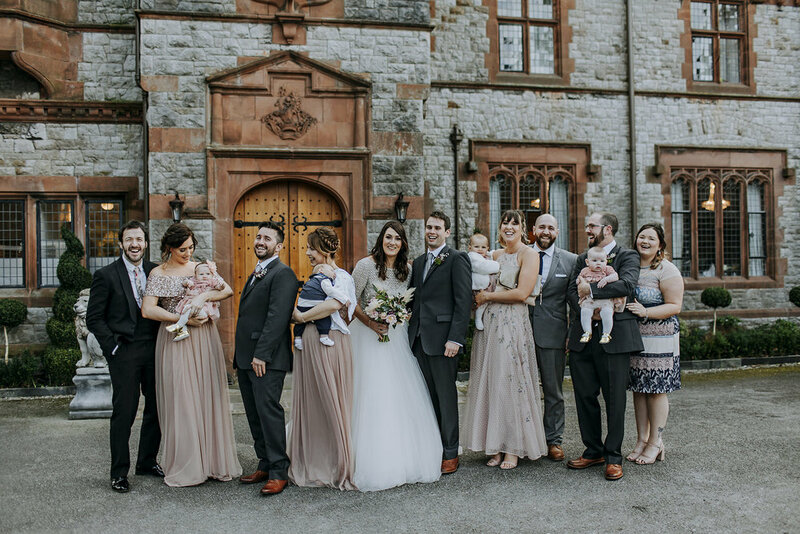 It was such a fun day and the sun even made an appearance after a grey and rainy start to the morning! 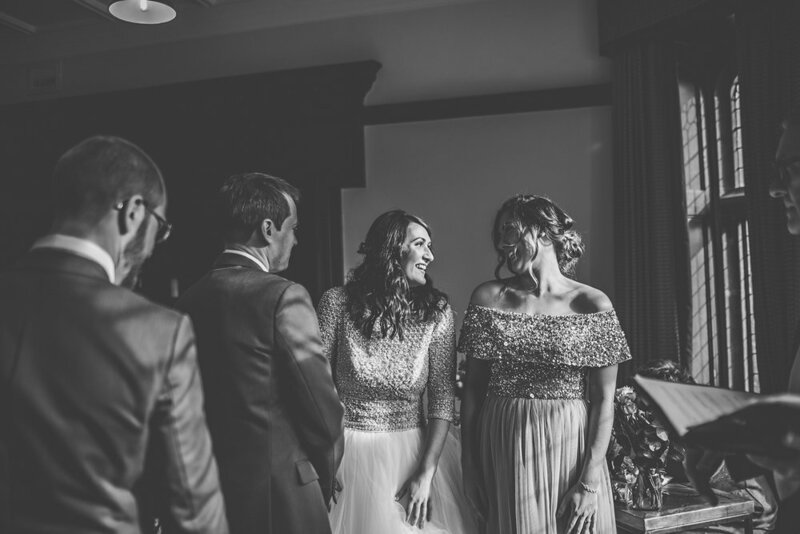 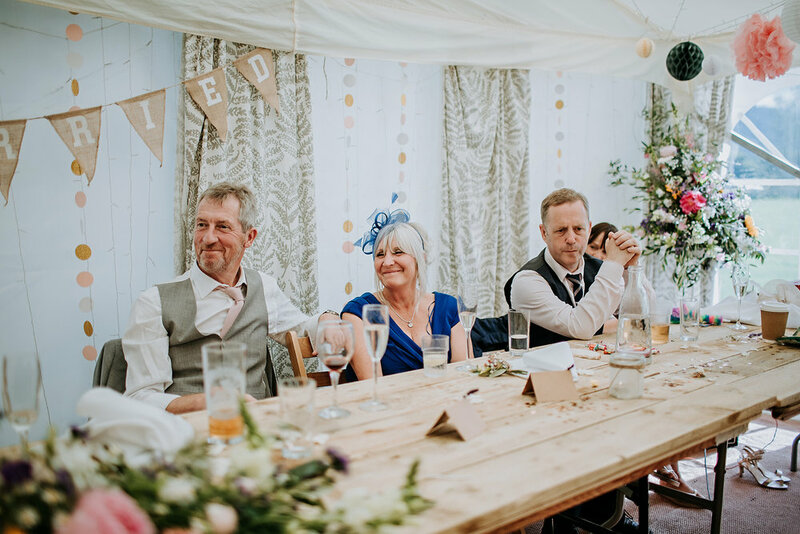 The reception was in a marquee at Hafod Farm, which Danielle had decorated with old photographs combined with bunting. 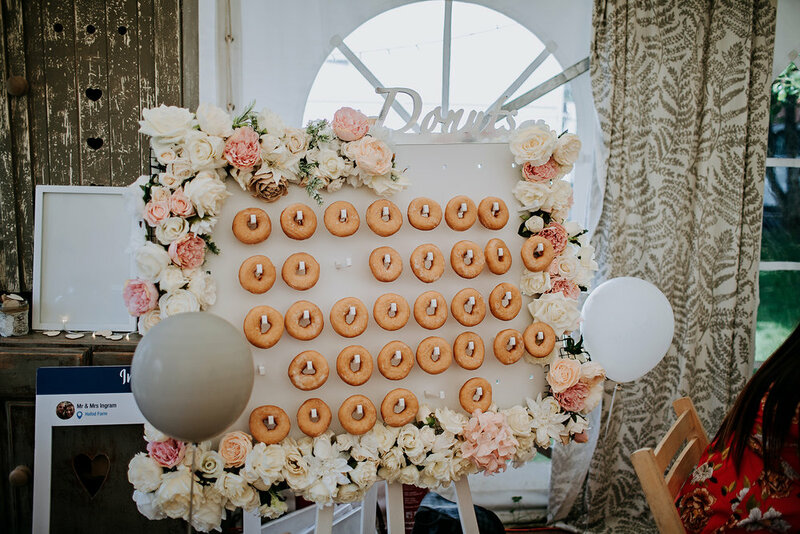 There was SO much space there to have a festival-themed wedding. 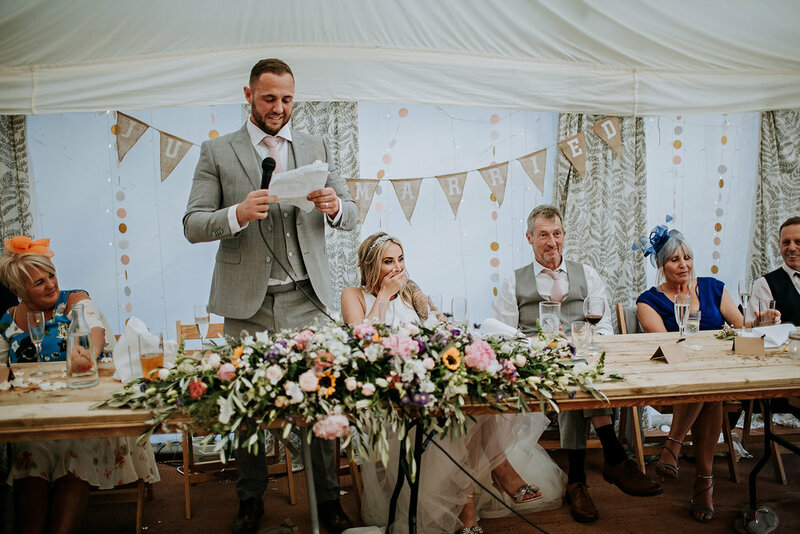 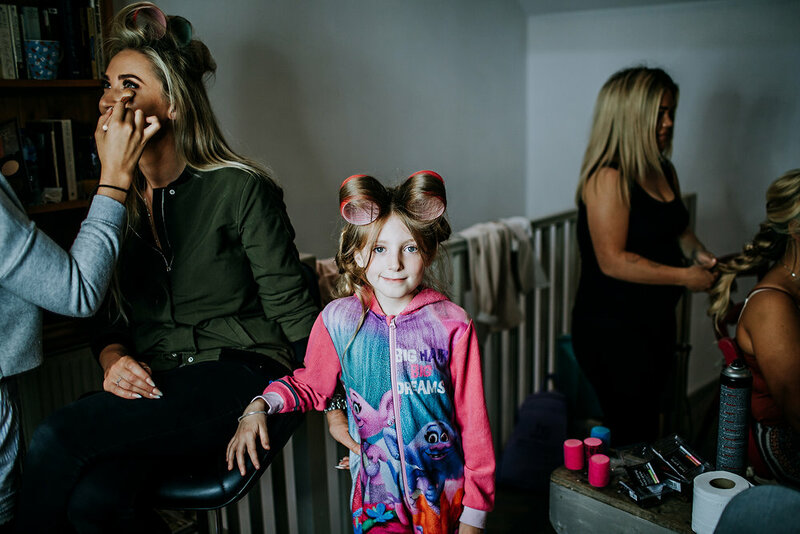 Danielle & Will had space for an ice cream trailer, a pizza oven, a giant bouncy castle, a creché wonderland for the children plus extra space for outdoor seating and a space for an Aerial Circus Artist! 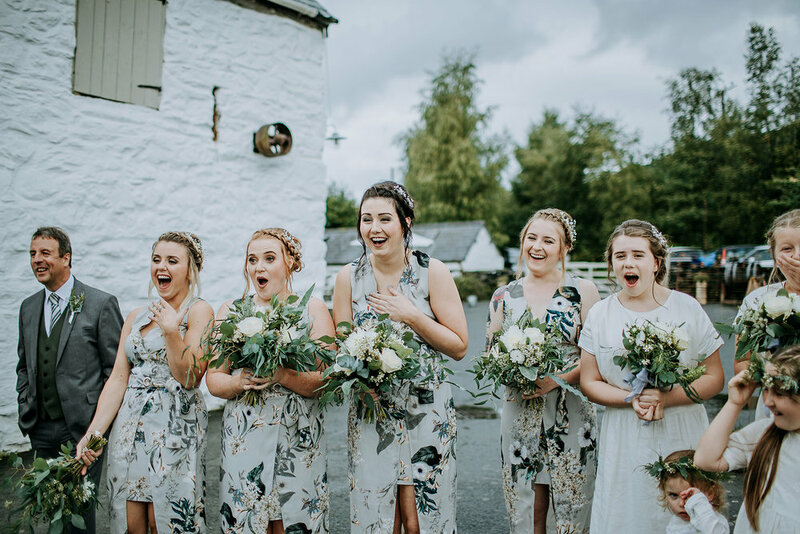 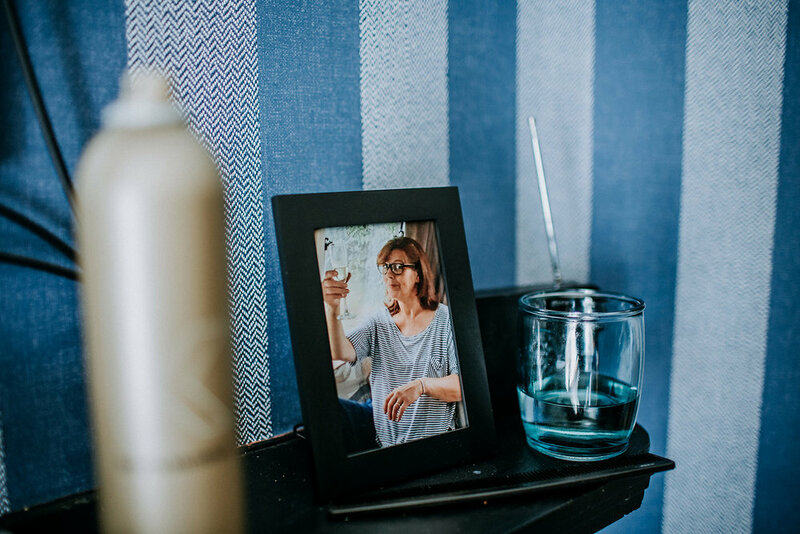 The outdoorsy nature of this wedding instantly gave it such a laid-back vibe and the atmosphere was brilliant. 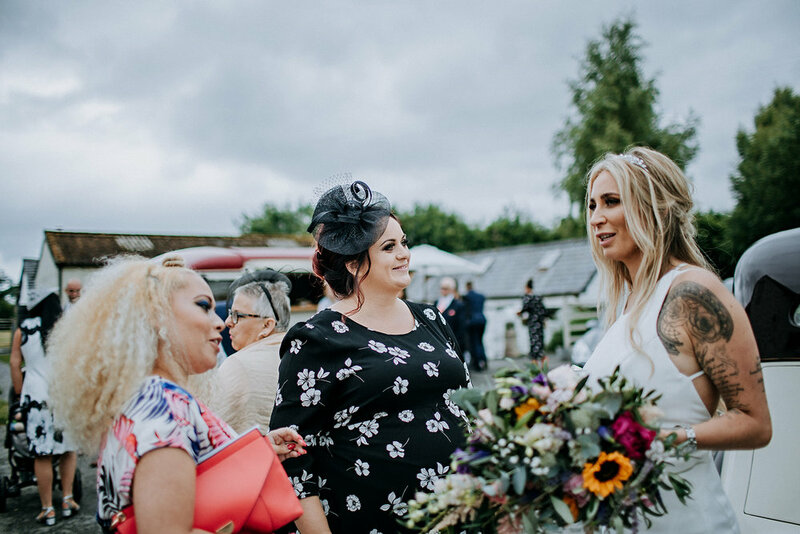 They had loads going on in the afternoon and plenty happening in the evening. 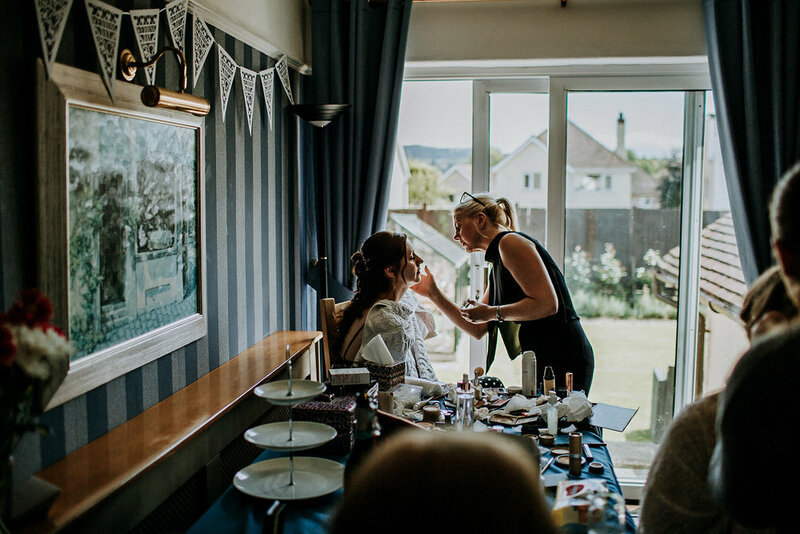 During the day they had a 'wonderland creché' for the children, which contained activities such as face painting, 'cocktail' classes, dress-up to name a few. 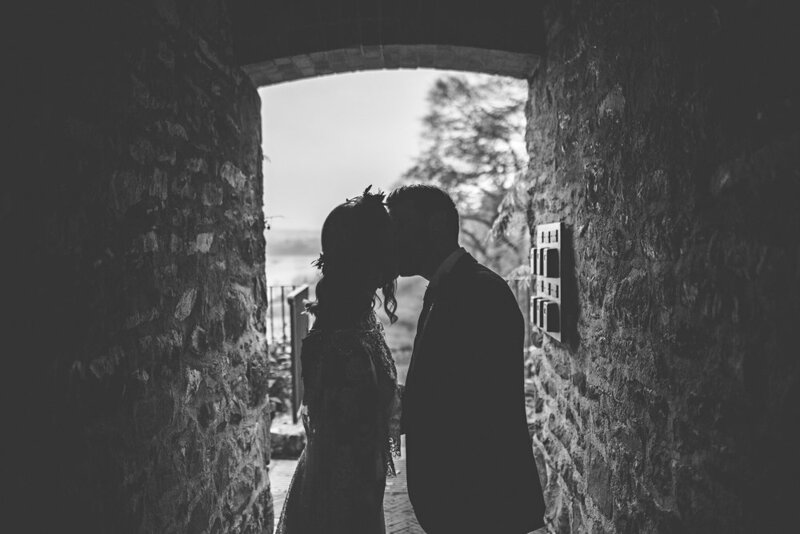 In the evening they had a band playing, and an Aerial Circus Artist (Daisy Williams). 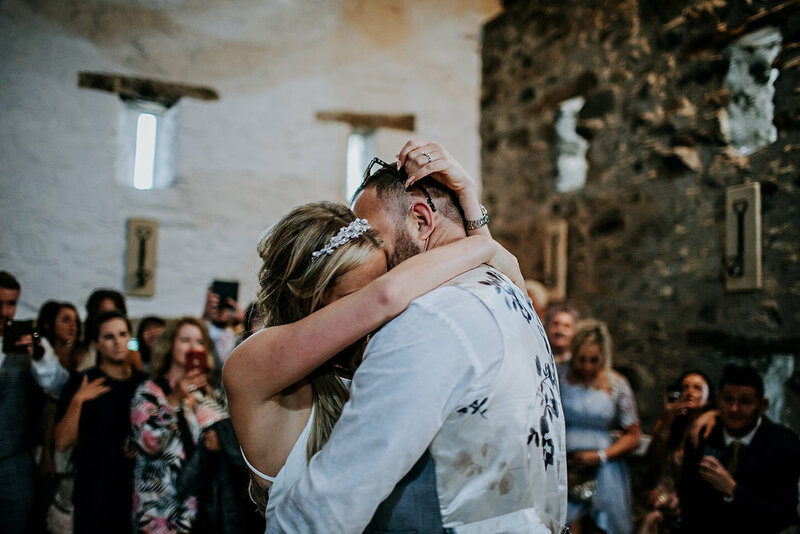 This was something totally unique which I'd never seen at any other wedding and it fitted in perfectly with the festival vibe.